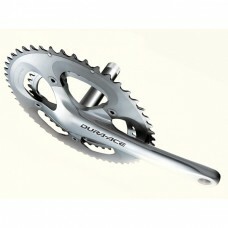 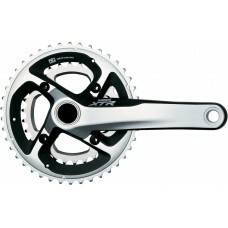 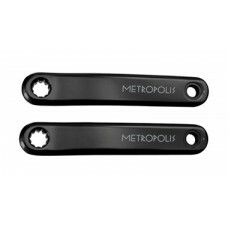 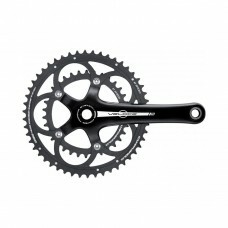 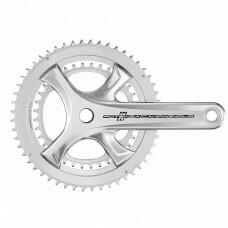 We have a great selection of Chainsets at clearance prices. 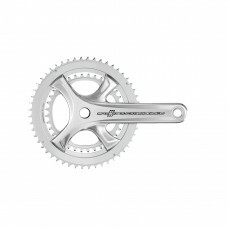 Campagnolo POTENZA SILVER Chainset Power Torque System 11 speed 172.5mm 53-39t Free Delivery to much.. 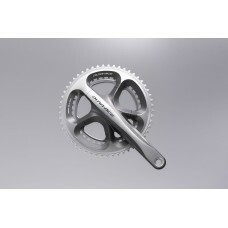 The Veloce crankset adopts the Power Torque System also used for its "big brother" Centaur. 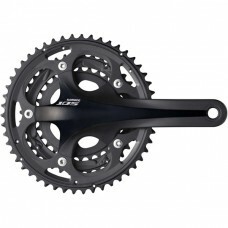 The Powe..
Shimano FC-5703 105 triple chainset - HollowTech II 172.5 mm 50 / 39 / 30 black Lightweight HollowT..
Shimano FC-7800 Dura-Ace double chainset - HollowTech II 177.5 mm 53 / 39T Precision engineering an..
Shimano FC-7800 Dura-Ace double chainset - HollowTech II 180 mm 53 / 39T Precision engineering and ..
Shimano FC-7800 Dura-Ace double chainset - HollowTech II 180 mm 53 / 42T Precision engineering and ..
Shimano FC-7900 Dura-Ace double chainset - HollowTech II 177.5 mm 54 / 42T The HollowTech II 10-spe..
Shimano FC-M985 10-speed XTR chainset HollowTech II - 40 / 28 170 mm Class-leading XTR 10-speed Dyn..
Shimano FC-M985 10-speed XTR chainset HollowTech II - 40 / 28 175 mm Class-leading XTR 10-speed Dyn..
Shimano FC-M985 10-speed XTR chainset HollowTech II - 40 / 28 180 mm Class-leading XTR 10-speed Dyn..
Shimano FC-M985 10-speed XTR chainset HollowTech II - 42 / 30 175 mm Class-leading XTR 10-speed Dyn..
Shimano FC-M985 10-speed XTR chainset HollowTech II - 42 / 30 180 mm Class-leading XTR 10-speed Dyn..
Shimano FC-M985 10-speed XTR chainset HollowTech II - 44 / 30 175 mm Class-leading XTR 10-speed Dyn..
FSA Metropolis Bosch E-Bike Chainset (CK-632, Black, 172.5, G2)Metropolis E-bike forged crankset for..